. . . eat Indian food??? Absolutely! When we were in Italy last spring, our first dinner in Rome came after we’d been traveling in other parts of the country for over a week, and, quite frankly, we were ready for something other than Italian food. We made our way to Shanti, an Indian restaurant recommended by one of our guide books, and enjoyed one of the best meals of our entire trip, including one dish in particular. Fellow blogger Nupur (One Hot Stove) was kind enough to help us identify the dish as malai kofta (see her comment on this post for recipe links). We haven’t gotten around to making malai kofta ourselves, but we identified a couple of local Indian restaurants that serve the dish. 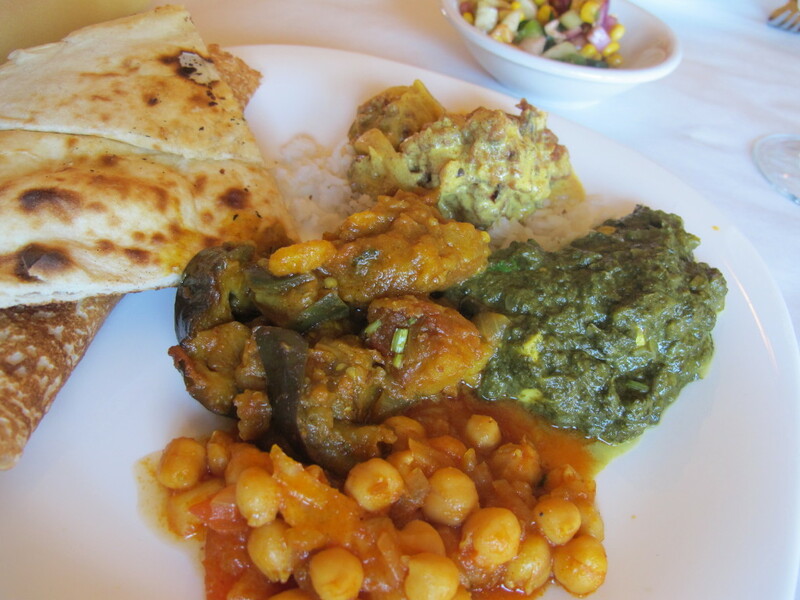 Over the weekend, we finally made the trek to House of India for our fix. I liked the idea of their lunch buffet, but I called to investigate and they told me that the malai kofta is never on the buffet. Further, they ONLY offer the buffet at lunch time. What to do? Go for the lunch buffet and order malai kofta from the takeout menu, which is available any time. Clever, no? We heated half of the malai kofta for dinner last night, and it was every bit as delicious as we remembered. This entry was posted in Food and tagged restaurants, travel, vegetarian in Rome. Bookmark the permalink.